Record 4, HD and RAW directly from the camera sensor to either Apple ProRes, DNxHD/DNxHR or RAW in 10-bit 422 quality. Based on the camera’s output, the Shogun can accept and record up to 4K 30p and HD 120p over HDMI or 12/6/3/1.5G SDI. Record up to 5 hours of 4K ProRes 422 HQ onto a 2TB HDD. Only with the LG DRT389H can you bring all your home entertainment to one place plus make sure you're ready for digital TV. With the LG DRT389H digital TV recorder can you receive over 40 digital channels and record 21 hours worth of TV at the touch of a button direct to a DVD;simple and easy. The Sound Devices PIX 240 Video Recorder provides the ability of QuickTime recording for video cameras with HDMI and HD-SDI inputs. 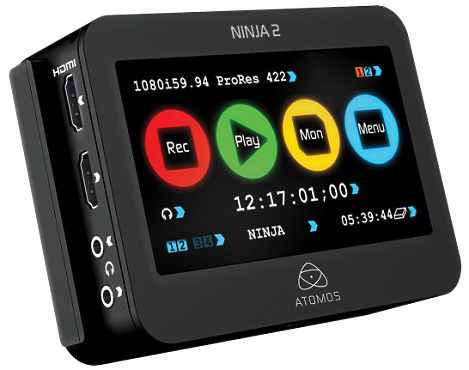 It employs Apple ProRes or Avid DNxHD formats to record videos which offer good picture quality and processing efficiency. It stores recorded videos onto compact flash cards or removable 2.5” solid-state hard drives with UDF format, and the recorded videos can be accessed on systems operating on both Windows and Mac OS. In addition, the PIX 240 records videos which are ideal for editorial workflows such as on-the-fly colour grading, video processing, etc.